Full disclosure: I’ve walked the Martinenga vineyard with Alberto di Gresy, and I’ve also consumed grappa at his house. While this isn’t a recipe for objectivity, it does give me a perspective I might not otherwise have. Alberto’s estate---formally known as Tenute Cisa Asinari dei Marchesi di Gresy---dates to 1650, when the family acquired the Aribaldo vineyard in Treiso. Martinenga came along in 1797, donated by the Marquis de Abbate. 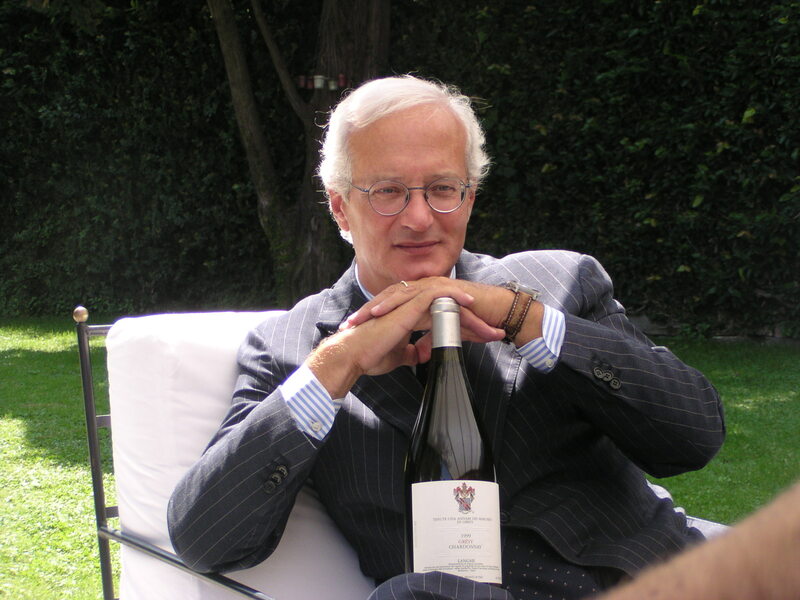 Although overshadowed by Gaja, di Gresy is one of the most significant producers in Barbaresco. He makes a range of wines from his four vineyard properties totaling 111 acres, but the 27 acres of Martinenga are his pride and joy. The vineyard is shaped like a large punch bowl, with the gently rolling hills acting as a barricade against wind and a preserver of sunlight. Di Gresy is a traditional vintner in a region that stubbornly resisted change for centuries. Like their neighbors in Barolo, the Barbaresco winemakers regarded themselves as the purest source of the Nebbiolo grape, a variety that they believed to be the standard bearer for Italian wine. Like Gaja, however, di Gresy has incorporated modern technology into his operations, using it to bring out the best (and historically most frequently hidden) attributes of Nebbiolo. His wines can be enjoyed on release, but they are also capable of aging for decades. The exuberant nose of the 2015 Barbera d’Asti ($45) yields aromas of dark plums, blackberry essence and crushed fresh herbs. The wine is crisp and lilting on entry, with bright acidity and ripe flavors of red and black berries; in the mid palate, the acidity amplifies the fruit and creates a vivid and compelling texture. The finish is long and mouthwatering. This wine cries out for food, and would pair well with everything from game fish through red meats. The 2016 Langhe Nebbiolo ($21) can be described as a baby Barbaresco. It has a tight, focused nose with whiffs of leather, smoke and tart red cherries. Simple and direct on entry, the wine expands almost immediately to reveal a rich texture, stiff but not obtrusive tannins, and resonant flavors of red berries. The fruit lingers on the palate---seductively, almost teasingly---leaving a residue of red cherry and currant coulis on the finish. If you drink a lot of young red wine, and if a significant amount of that is Cabernet, this wine will delight you. The 2013 Martinenga Barbaresco ($50) reveals notes of earth, black fruits and forest floor on the nose. The wine is compact yet structured in the mouth, with good acidity, supple tannins, and a core of luscious berry fruit that gains in amplitude on the palate. The finish is long and mouthwatering. While elegant and feminine, this has enough substance to accompany red meats or wild game. Moscato is all the rage, and a great deal of it is cloyingly sweet and unbalanced. Di Gresy takes the production of Moscato d’Asti seriously. His 2016 from the La Serra vineyard ($16) is gently effervescent, containing 5% alcohol and 13% residual sugar. It is fresh and clean in the mouth, with the sweetness nicely balanced by natural acidity. The wine is filled with delicious flavors of ripe peaches, apricots and melon that coat the palate and linger. Pair this with a panna cotta or simple gelato, and you’ll be in Heaven.